Oh hello pumpkin. No bake pumpkin cheesecake. You guys, this took some serious self restraint. I actually made it to after Labor Day to post this recipe. I feel like I deserve a round of applause. A bouquet of flowers. No? Ok fine then. Just send me a steaming PSL then and we can call it a day. Of course, I didn’t actually wait until we made it out of August to actually make this recipe. There was this day last week that was rainy and down right cool. I lit my pumpkin crackle candle. I wore my Hocus Pocus shirt. And I made this no bake pumpkin cheesecake. And the no bake pumpkin cheesecake was the perfect thing to make. I could have made Italian Style Pumpkin Cheesecake, but I really didn’t want to turn on the oven. I wanted to enjoy the cool weather and the feeling of fall in the air. A month from now? Or even a week from now? I’m totally ready to fire it up and bake yummy treats and make things like Apple Cider Brined Roast Chicken. But for now? 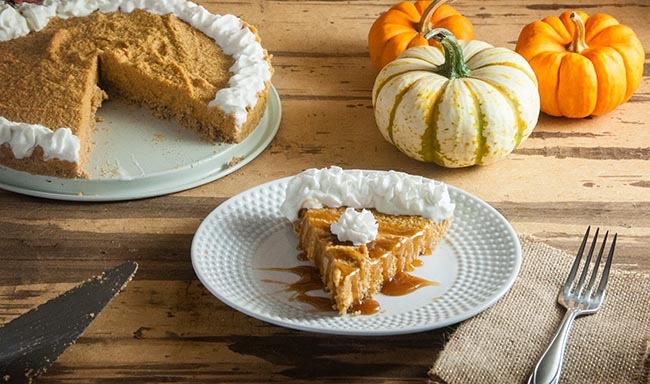 I’ll stick to the no bake pumpkin cheesecake. It’s just so easy. I love making no bake cheesecake for that reason. 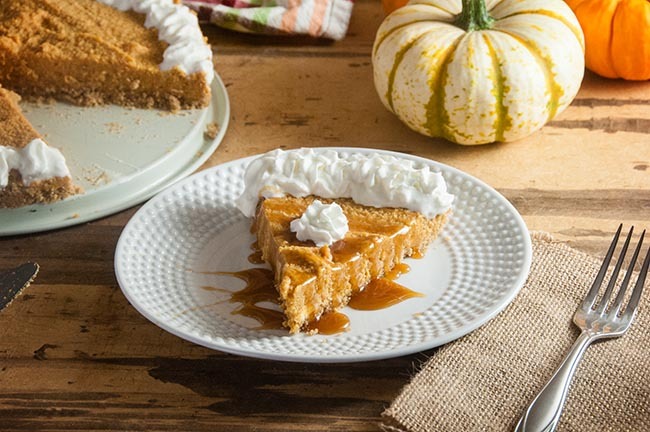 It barely takes any effort at all before you have a delicious, creamy, pumpkin dessert that’s full of all the flavors of a pumpkin cheesecake without time in the oven. This recipe would be a total winner for Thanksgiving too. (Is it too early to mention that word?) 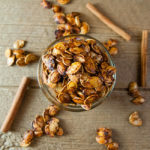 It has the traditional pumpkin cheesecake taste with a floral background from a healthy dose of honey. Plus it’s smooth and super creamy because it has marscapone cheese instead of regular cheesecake. But the real selling point for Thanksgiving? It doesn’t take up any valuable real estate in the oven. Boom. Winning. How are you feeling about fall? Leave me a comment and let me know what you are most looking forward to. To make the crust, add the cereal and melted butter to a food processor and process until the texture is like coarse, damp sand. Press into the bottom of a spring form pie plate. Refrigerate. Using a mixer beat the marscapone cheese until it is light and fluffy. Add in the cold whipping cream and beat for 2 to 3 minutes. Fold in the pumpkin, sugar, honey, and spice and beat until just combined. Pour the cheesecake filling into the spring form pan. Refrigerate for 2-4 hours or until set. 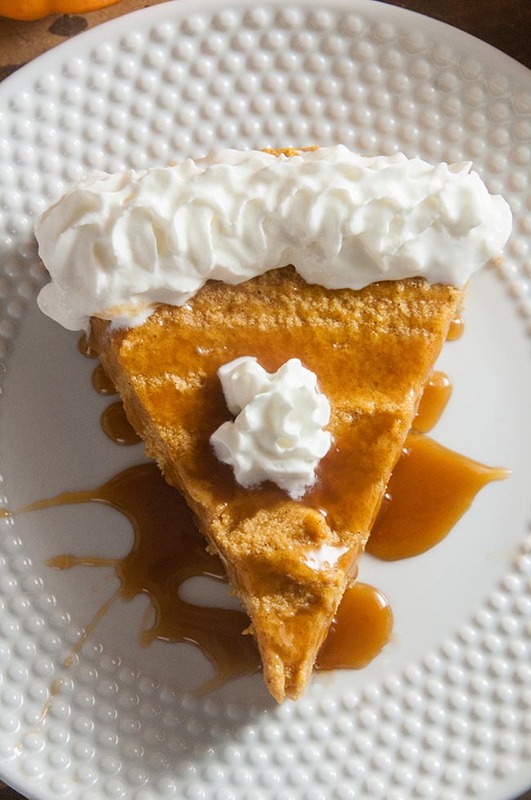 Serve with additional whipped cream and caramel sauce if desired. *You can sub out cream cheese for marscapone if desired. If you do, the finished cheesecake will have more tang. OMG! This seriously looks so good! I may need to make one this Fall! Can’t beat no-bake! 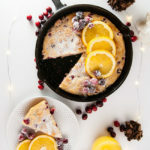 How delicious, and perfect for the season! 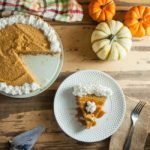 OMG, pumpkin cheesecake is one of my favorite desserts! I definitely need to try this since it looks super easy! So easy. It’s my fave too. 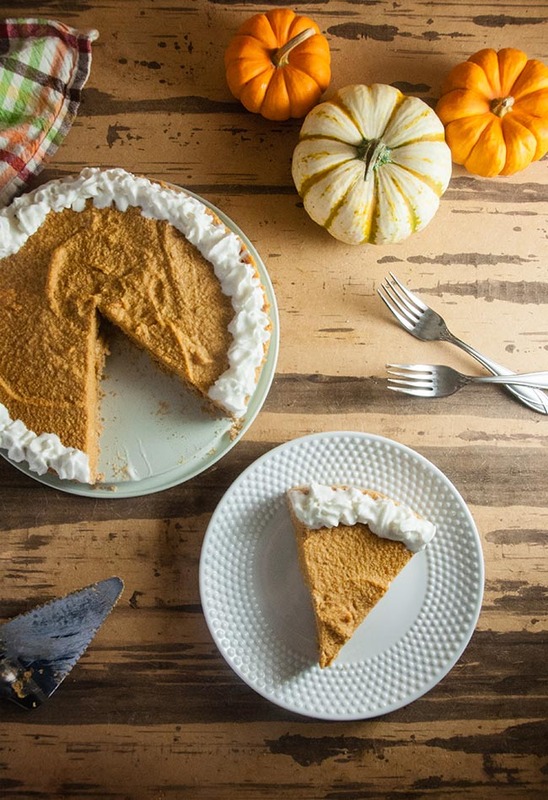 Oh my gosh that looks so insanely delicious and the perfect fall treat! I am seriously wishing i could eat dairy! I wish I had a dairy free substitute for you!! Yummy! I’m fully ready to embrace fall. I absolutely love all of the food! Your images are beautiful! And that cheesecake looks AHMAZING! Pinning this for later! 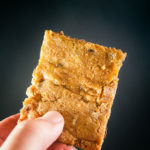 Awesome twist on an already great recipe — looking forward to trying it! 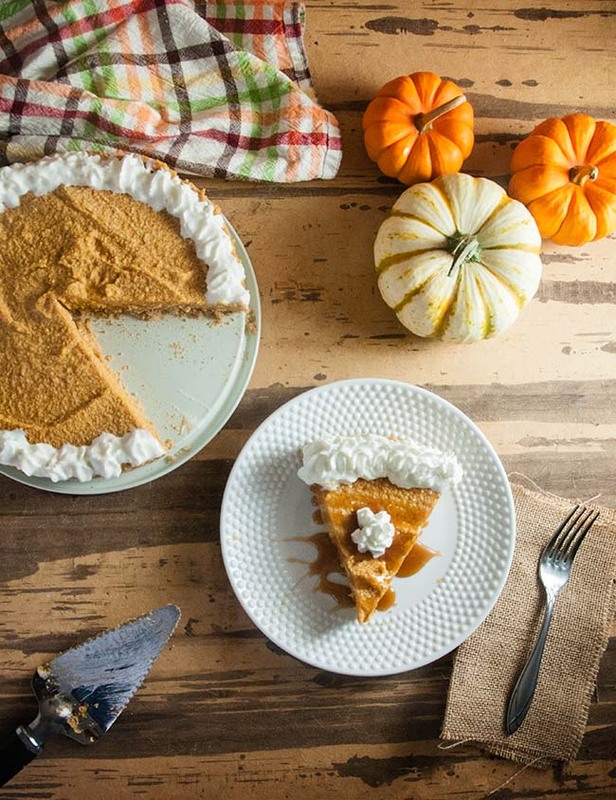 This looks delicious – I’m so excited for the flavors of fall! And I LOVE that plate it’s on! So pretty! Thank you! I’m pretty sure I found the plate in the clearance section at Walmart. 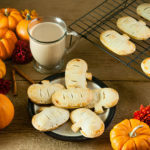 This is perfect for fall, can’t wait to try and bake this!